Rekha Suresh is an Indian Actress, who is working in Tamil Film and Television industry. She was born on 27th September in Chennai, Tamil Nadu. Rekha made her acting debut in the Tamil film “Enthiran” along with Delhi Kumar, directed by S. Shankar and produced by Kalanithi Maran. She also acted with well known actors like Jayaprakash, Ashok Selvan, Jai Dhanush and Amit Bhargav. She has appeared in some well known films such Nalanum Nandhiniyum, Thegidi and Kalam. She worked with some of the top names of that time like Rekha Suresh in “Enthiran” along with Rajinikanth, Aishwarya Rai and Santhanam. 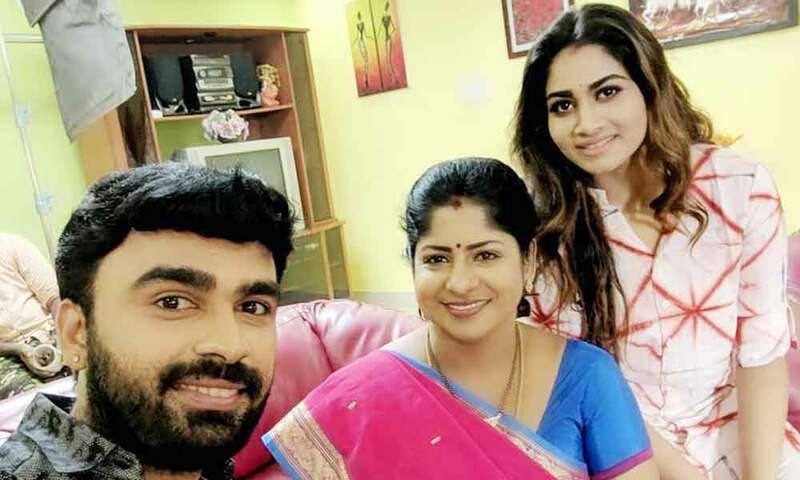 Rekha currently doing the negative role in Chinna Thambi serial along with Prajin in Vijay TV and supporting role in Sumangali serial along with Sujith in Sun TV. 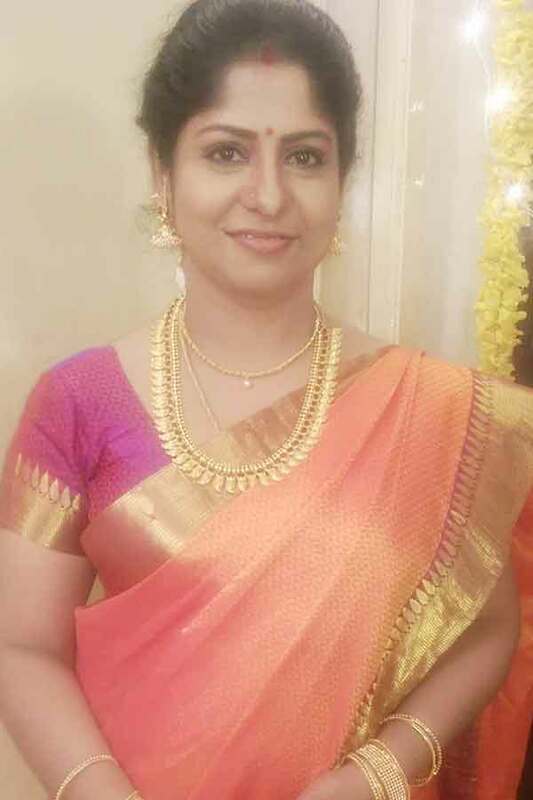 Rekha Suresh as Vaishali’s mother role in Kalyanam Mudhal Kadhal Varai serial. Rekha Suresh as Mrs.Ekambaram role in Naveena Saraswathi Sabatham film. Rekha Suresh as Mrs. Vinothan in Chandralekha serial. Rekha Suresh as Shanthi role in Chinna Thambi serial. Rekha Suresh as Ramya role in Pagal Nilavu serial. Snegidhiye, Yen Veedu, Kalyanam Mudhal Kadhal Varai, Office, Ranga Vilas, Chandralekha, Sumangali, Pagal Nilavu, Chinna Thambi. Kalam, Naveena Saraswathi Sabatham, Thegidi, Nalanum Nandhiniyum, Enthiran, Angusam, Uppu Karuvaadu, Maanagaram.